If you’re going to buy a home of your dreams in Lee County, have it inspected by a licensed home inspector. Because all homes have some defects that can be a reason of serious disasters. Coastal Home Inspectors provides you the best services of Lee County Home Inspections to give you the important information regarding your desired home so that you can make an informed decision before signing the dotted line of final agreement. We believe that a wise consumer is the one who knows what he is buying before the final purchase. So we convert you into a wise consumer by giving you the awareness about your dream home. A home inspection is very necessary because it’s probably the only inexpensive way to gain maximum information about the home’s condition that you’re going to buy. If you’re inspecting your home on your own you can face many surprise issues because some defects are invisible that can create serious problems. A home with the fresh coat of paint can hide some serious defects like cracked walls. So it becomes very necessary to have services of professional home inspector the inspection of your dream home. At Coastal Home Inspectors, our licensed home inspectors examine your home for all of its components and structures. In thorough Lee County Home Inspections services, we inspect a home for its exteriors like walls, garages, basements, lawns, and windows. After that, your home is inspected for its interiors and roofing system in which we inspect all major and minor components of a plumbing system, air conditioning system, electrical system, water heaters and other appliances like rooms, walls, floors, ceilings, door locks, hydrants, and all other items that a home can hold. After completing home inspections you’re given with a home inspection report. A home inspection report is a precise documentation of our findings. In home inspection report you’re given with complete information about the repaired items and other security and safety issues that your home can possess. At Coastal Home Inspectors, we provide you cost estimates of defected items so that you can ask the seller for repair or deductions in actual costs of the home. Coastal Home Inspectors is serving you all over the Lee County for many years and have lots of experience in home inspections. So choosing Coastal Home Inspectors for the services of Lee County Home Inspections can protect you from any financial or physical disaster. We have a commitment to meet everyone's needs and requirements by providing you the best home inspection services at very affordable rates. 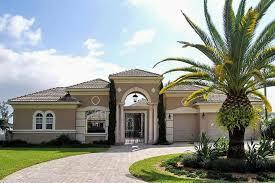 We make your dreams come true of having your own sweet home in Lee County without any issues to face. We can guarantee you that our best services of home inspections will significantly reduce your stresses and give you a peace of mind. Read More About: Lee County Home Inspections!